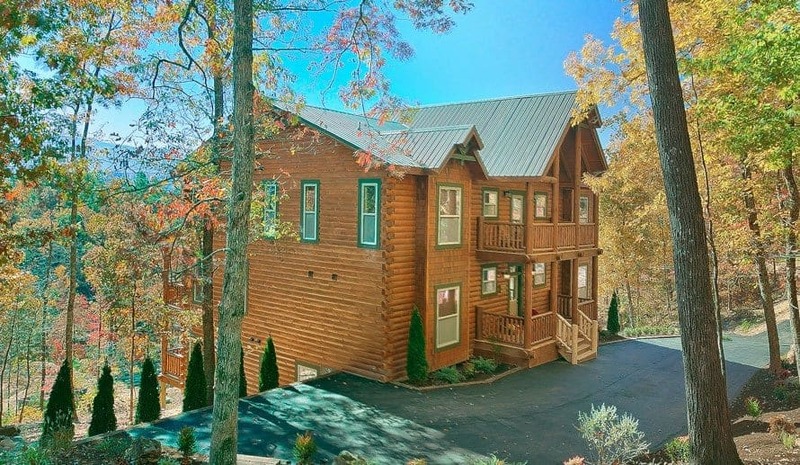 If you’re planning a family reunion, a weekend getaway with friends or even a Smoky Mountain wedding celebration, there’s no better place to stay than our 5 bedroom cabins in Pigeon Forge TN. 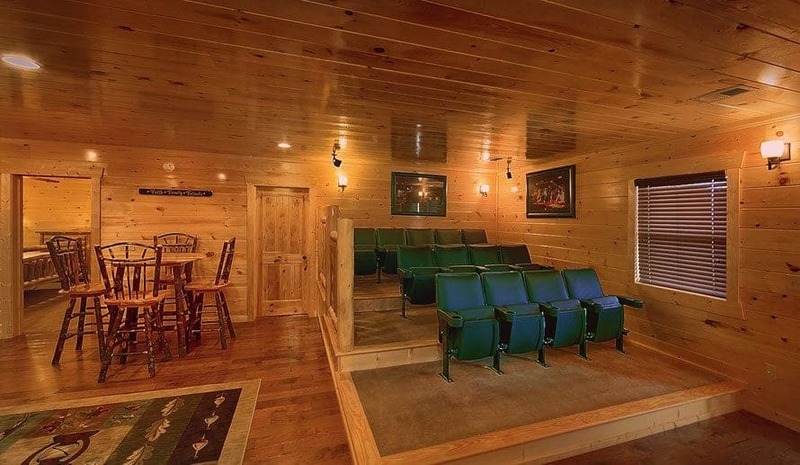 With tons of space to spread out and relax, wonderful amenities for a luxurious stay and discounted tickets to area attractions, our cabins have everything you need for a perfect vacation! 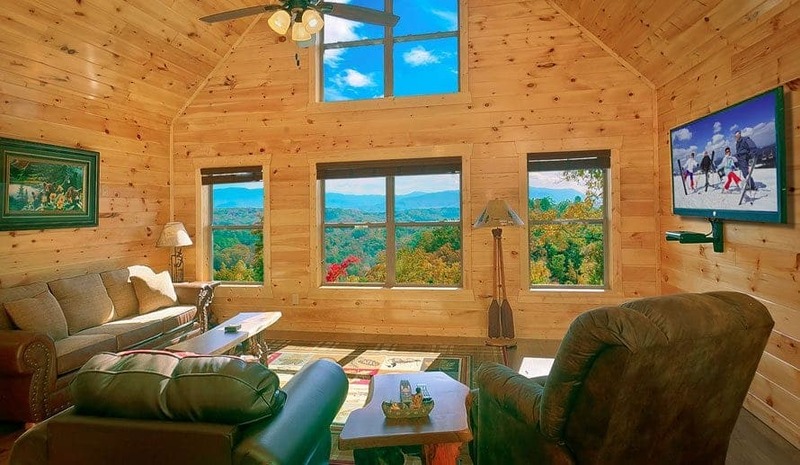 When you choose to stay in one of our cabins, the beautiful mountain views that you’ll experience from every room in the home will take your breath away. We make sure to have huge, picture windows in every room, as well as comfortable outdoor seating, so that you can enjoy the scenery wherever you are. From sunrise to sunset, we guarantee unbeatable views all day long! We know that vacation expenses add up fast but you want to be able to have a lot of fun with your family and friends, so we’ve created the Freedom Fun Pass to help you save money on some of the most popular shows and attractions in the Smokies. To find out what great deals we have available right now, give us a call at 1-877-544-9594 to speak with our friendly sales manager! 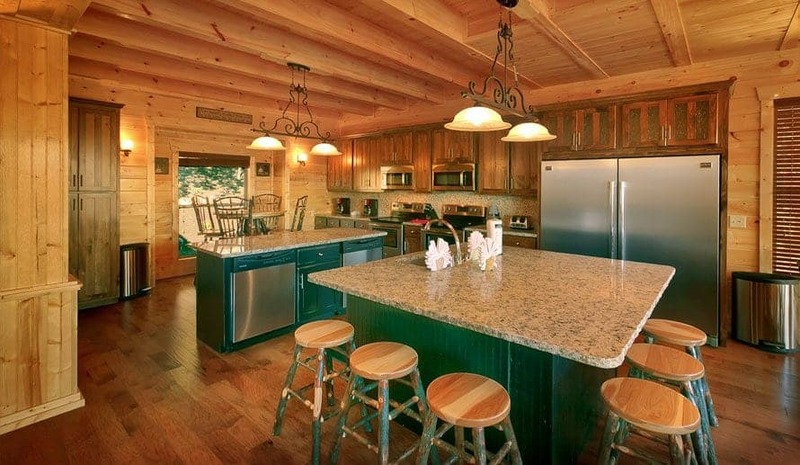 Another great aspect of our 5 bedroom cabins in Pigeon Forge TN is that there is nearly unlimited space for everyone in your group to kick back, spread out and make yourselves at home. 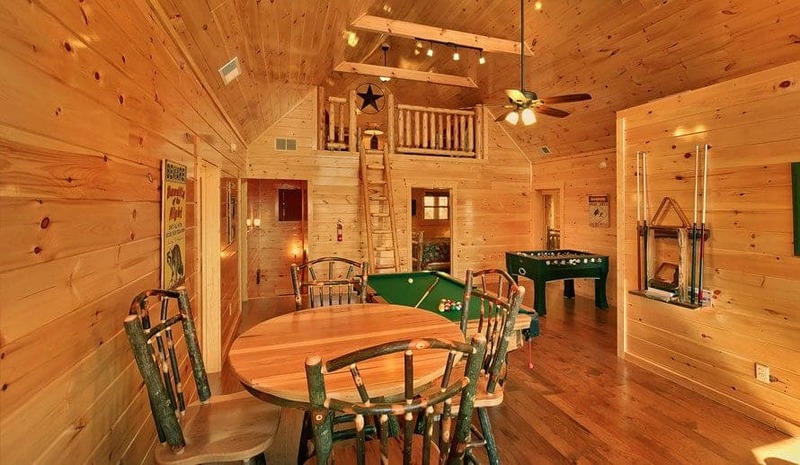 Our cabins are large enough for everyone to have the privacy of their own bedroom when they need a little peace and quiet, and the living areas are spacious and comfortable for everyone to gather around for a meal, some board games or great conversation! 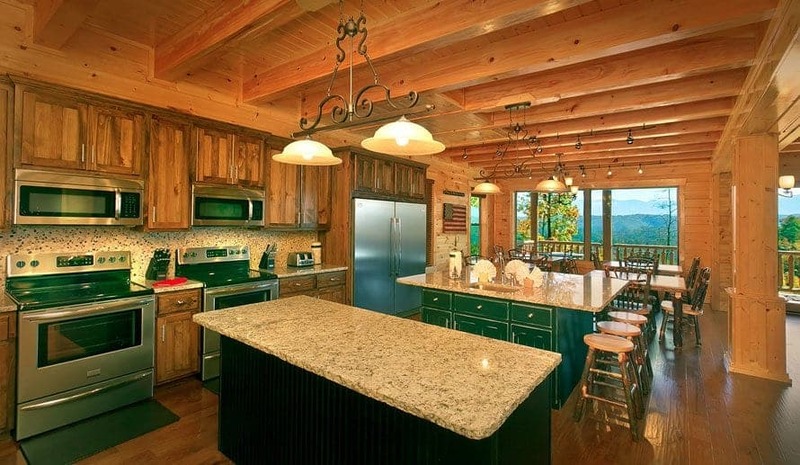 Our cabins are decked out with all the amazing amenities and exciting extras that will make your weekend with us perfect from beginning to end. We have game rooms with table games such as foosball, pool and air hockey, we have theater rooms for all-day and all-night movie marathons, we have secluded hot tubs and private jacuzzi tubs for soaking all your stress away and we have fully equipped kitchens that make cooking for your group both easy and fun! During the warmer months, your group will love taking advantage of our outdoor swimming pool and our open-air pavilion. You can splash and play in the pool all day or lay out and soak up some rays and then spend the afternoon and evening cooking out and enjoying food and games under the pavilion. You could even plan a quaint, beautiful wedding under our pavilion, using the Great Smoky Mountains as your backdrop! Our cabins make the perfect place for a wedding party to get ready together beforehand and then celebrate all night after! 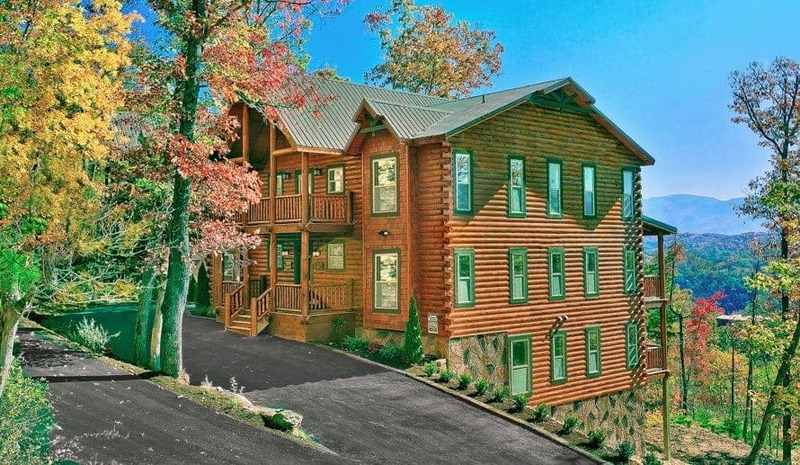 We could go on and on about the benefits and perks to staying in our 5 bedroom cabins in Pigeon Forge TN, but we’d rather you find out for yourself! Book your stay today!